First Look at Industry Nine’s New Road Wheels! EXCLUSIVE FIRST LOOK! Industry Nine has been quietly working on an entirely new road wheel over the past few months, and we've got the first photos and video to show you! Last April, Industry 9 showed off their first set of road hoops using their house-made aluminum spokes, and they were gorgeous. But, riders that put a lot of miles on them or rode them hard reported some spoke breakage. 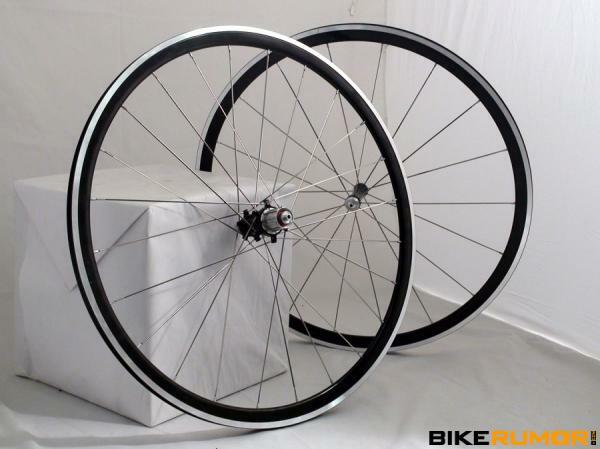 While their alloy spokes work great for mountain biking in a 32-hole design, the lower spoke count of the road wheels created too much stress. Now, they've totally redesigned the spoke layout in a truly unique vertical pattern and gone with the ever-popular Sapim CX-Ray bladed stainless steel spokes to create a stiffer, lighter and more aerodynamic wheelset. They're as beautiful as ever, and we've got lots of great pics to show you!